Scott Anderson is Hixson-Lied Professor of Trombone in the Glenn Korff School of Music at the University of Nebraska-Lincoln. He is the head of the Brass and Percussion Area and trombonist in the University of Nebraska Brass Quintet. Dr. Anderson has taught at St. Cloud State University, the University of Minnesota, the MacPhail School of Music, and Dana College. He earned degrees from the University of Minnesota (DMA 1995), Northwestern University (MM 1987) and Iowa State University (BM 1985). He studied with Thomas Ashworth, the late Frank Crisafulli and Dr. David Stuart. Dr. Anderson is active as a recitalist, chamber musician with the University of Nebraska Brass Quintet and as an orchestral musician. He has performed solo recitals throughout the United States including Iowa State University, Concordia University, Luther College (Iowa), Trinity College (Texas), The University of Memphis, St. Cloud State University (Minnesota) and the University of Nebraska. 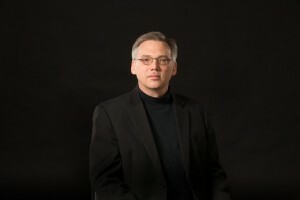 He has also appeared as a soloist with the Dallas Brass, the Strategic Air Command Band, the ACC Heartland of America Band, the Twin Ports Wind Orchestra, the University of Nebraska Wind Ensemble, the University of Nebraska Symphonic Band, the Omaha Wind Symphony, the University of Minnesota Symphony Orchestra, the Iowa State University Symphony Orchestra, the Lincoln Municipal Band, The Nebraska Chamber Ensemble, The New Music Agency and the Iowa State University Wind Ensemble. As a member of the University of Nebraska Brass Quintet, he has toured extensively throughout the United States as well as internationally with recitals in the Czech Republic. Anderson is an active orchestral performer on trombone, tenor tuba and bass trumpet and has performed nationally and internationally as Principal and Second Trombone with the Minnesota Orchestra, the Saint Paul Chamber Orchestra, the Omaha Symphony and the Des Moines Symphony and as second trombone in the Kansas City Symphony, Kansas City Ballet and Opera Omaha. Anderson served at Acting Principal Trombone with Lincoln’s Symphony Orchestra during the 2014-15 season. He has performed under the direction of a number of conductors including Osmo Vanska, Christopher Hogwood, John Williams, Eiji Oue, Robert Shaw, Neeme Järvi, Christoph Eschenbach, David Zinman, Michael Stern, Hans Vonk, Christopher Wilkins, Edward Polochick and Edo de Waart. As lead trombonist, Dr. Anderson performs regularly with the Nebraska Jazz Orchestra and has performed on numerous national touring productions including Chicago, The Producers, Ragtime, 42nd Street, A Chorus Line, Hello Dolly and Victor/Victoria. He has also played in concerts backing Lou Rawls, The Lettermen, Steve Lawrence and Edie Gorme, The Moody Blues, The Temptations, Blood, Sweat and Tears, Pam Tillis, Mannheim Steamroller, Marvin Hamlisch and Mark O’Connor to name a few. In addition to his work on the trombone, Anderson performs on euphonium with the Lincoln Municipal Band during the summer months.